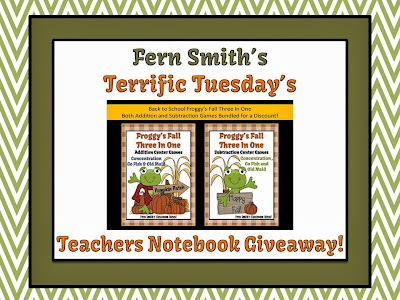 Terrific Tuesday's Teachers Notebook Giveaway! - Fern Smith's Classroom Ideas! Terrific Tuesday's Teachers Notebook Giveaway! Halloween Candy Corn Place Value Race Game!